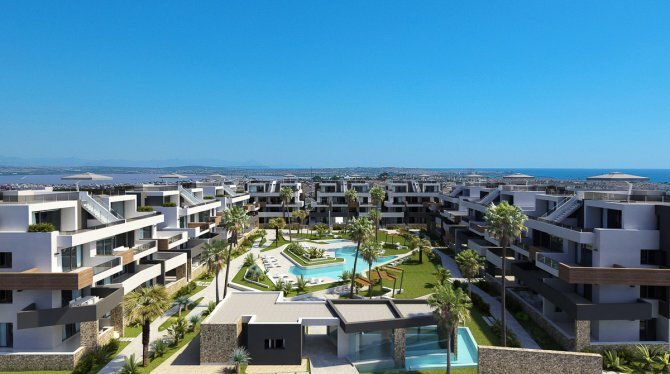 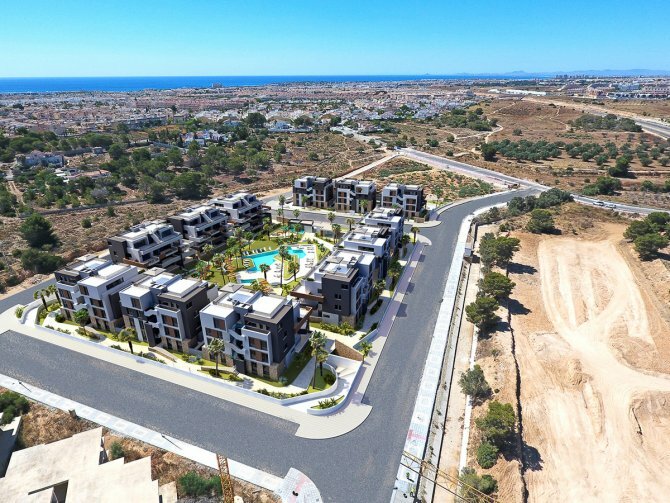 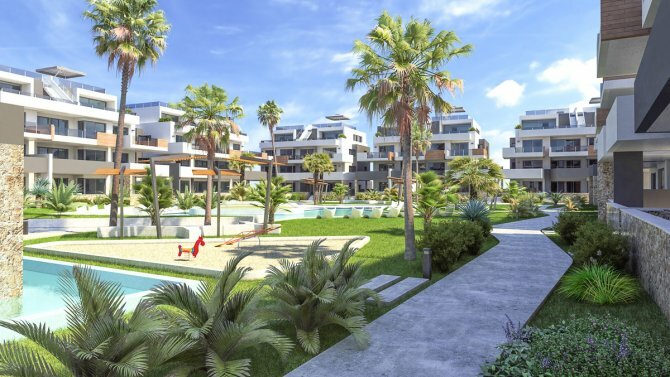 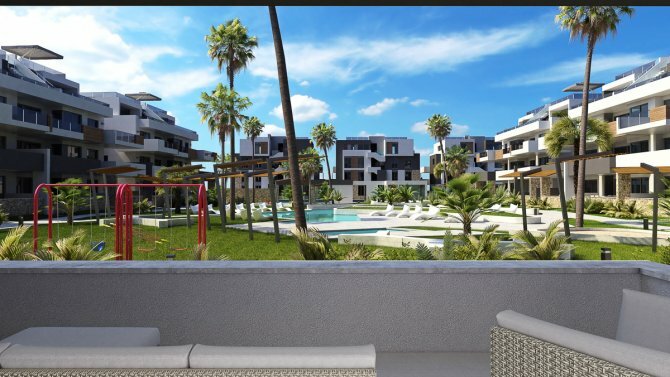 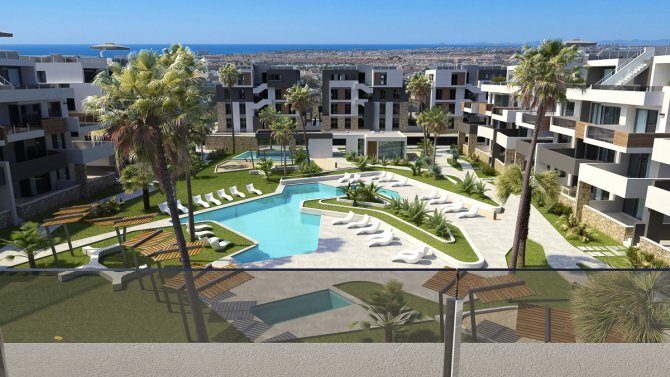 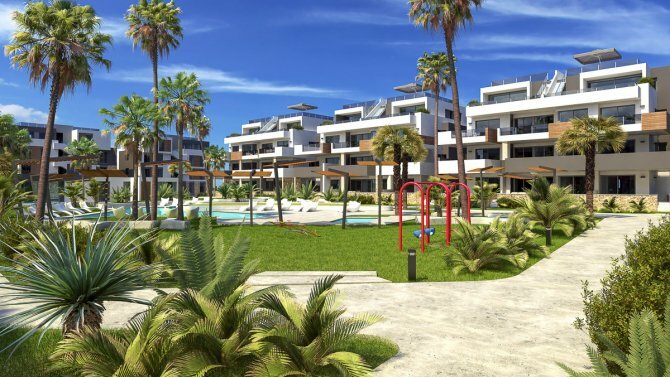 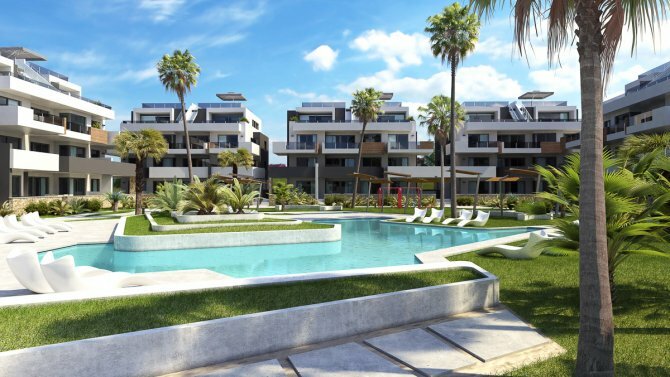 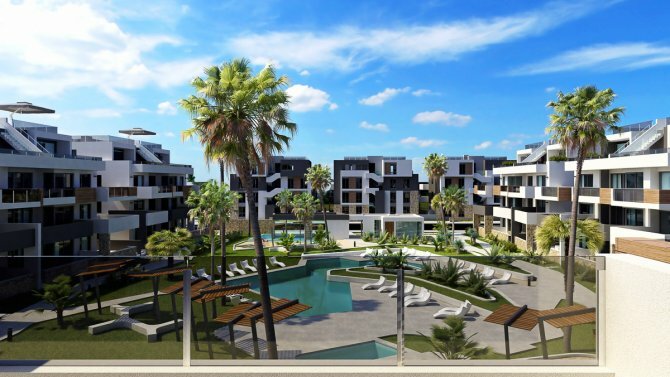 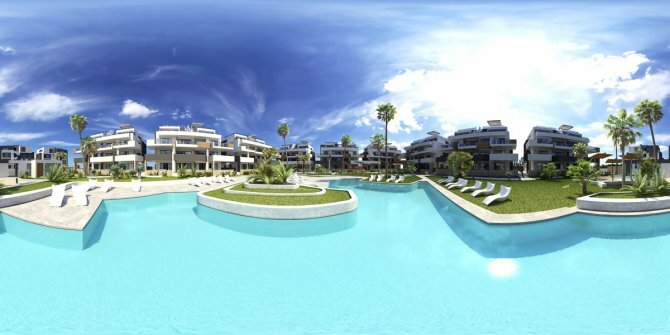 Residential El Amanecer III is a new development of 12 residential blocks of 11 apartments per block set over 4 floors in the Los Altos area of Orihuela Costa. 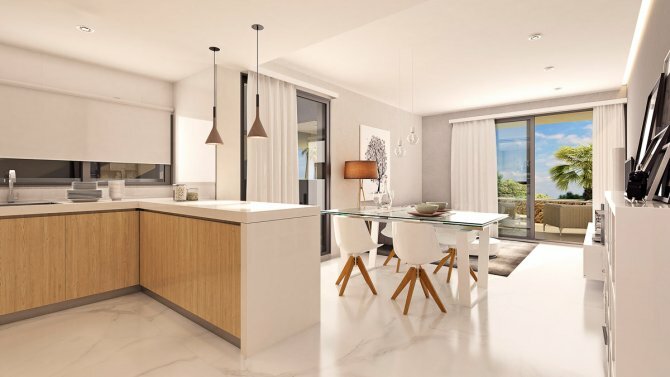 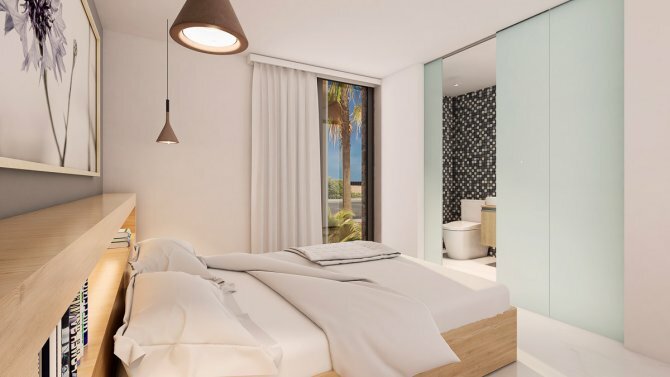 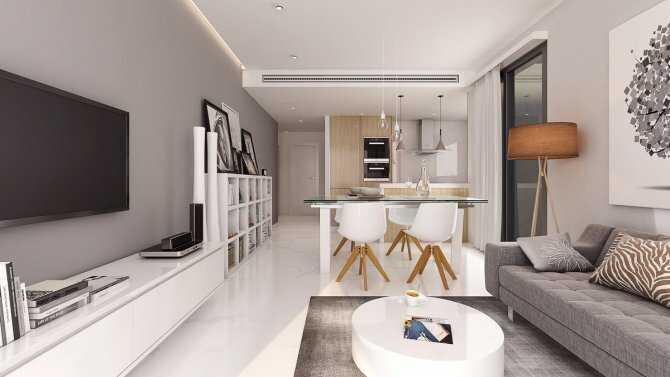 The apartments have a spacious open plan lounge with dining area, large kitchen with modern design base and wall mounted units, two double bedrooms one of which is en-suite and a family bathroom. 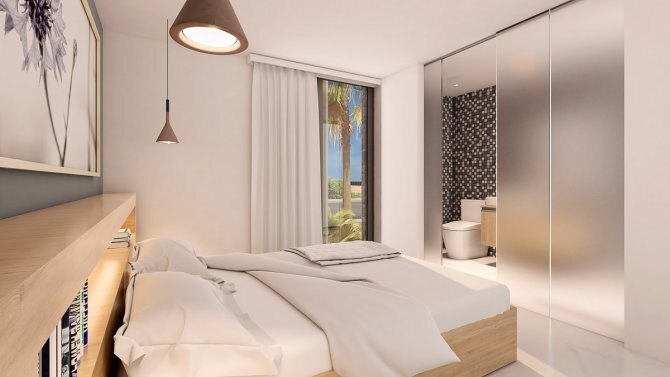 Both bedrooms come with fitted wardrobes and the property has pre-installation for air conditioning. 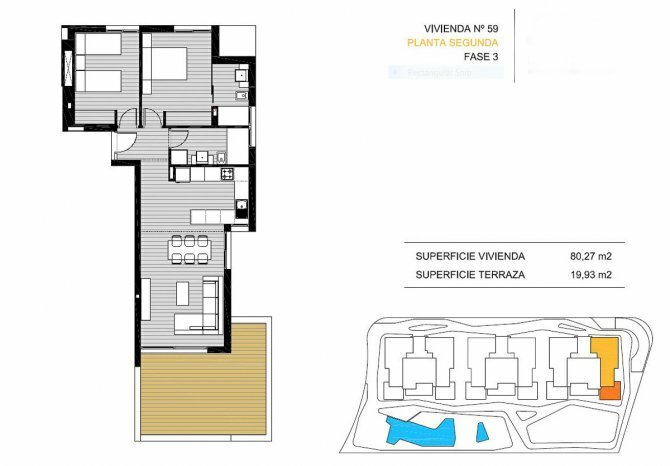 There is an elevator servicing all floors. 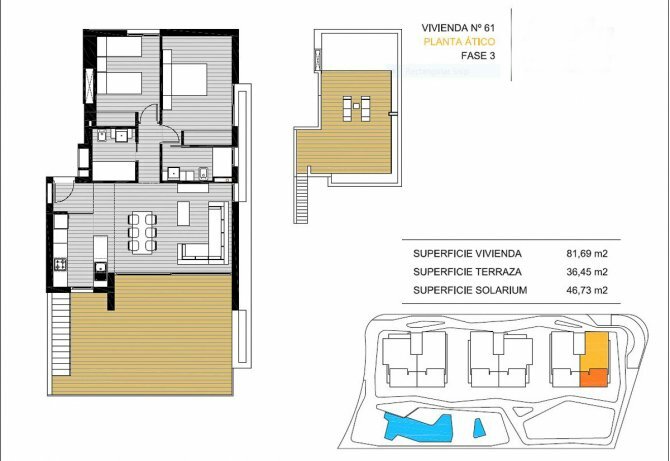 The ground floor apartments all have direct access to the communal gardens and the top floor apartments come with a spacious solarium. 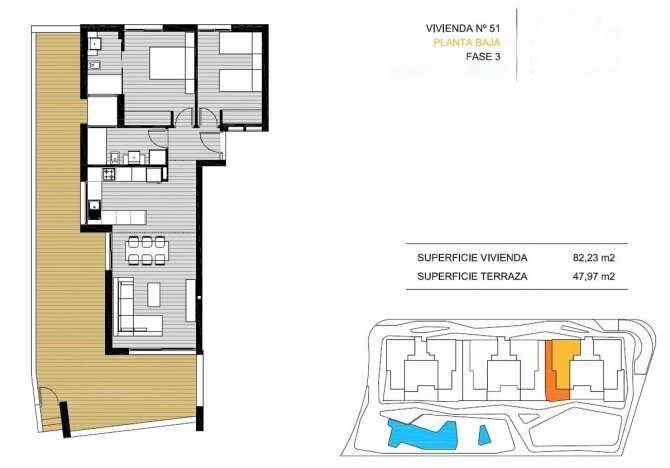 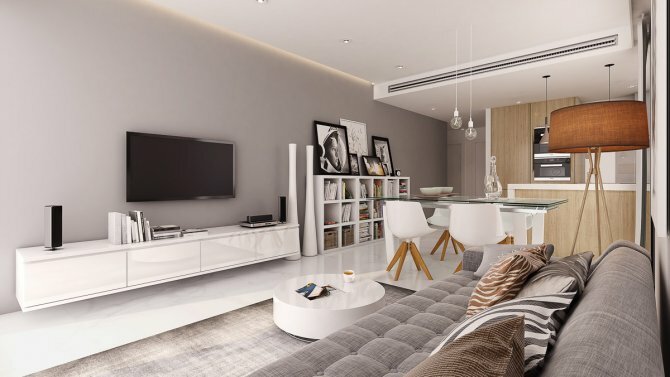 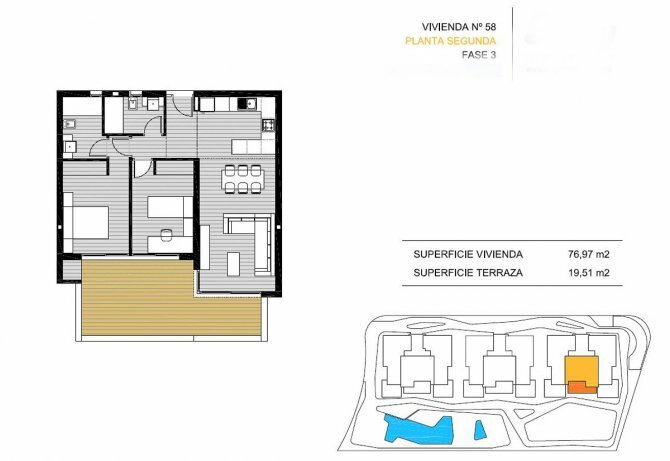 Each apartment has a build area from 82m2 and a terrace ranging from 20m2 to 75m2 and an underground parking space.